Forever unobstructed views of the sugar white dunes and emerald waters exemplify this astonishing Inlet Beach homesite. This Emerald Cove property is positioned facing southwest in the most ideal setting to enjoy draw-dropping sunsets over the Gulf of Mexico. Future homeowners will always have endless views of the water across the sand dunes of the park. 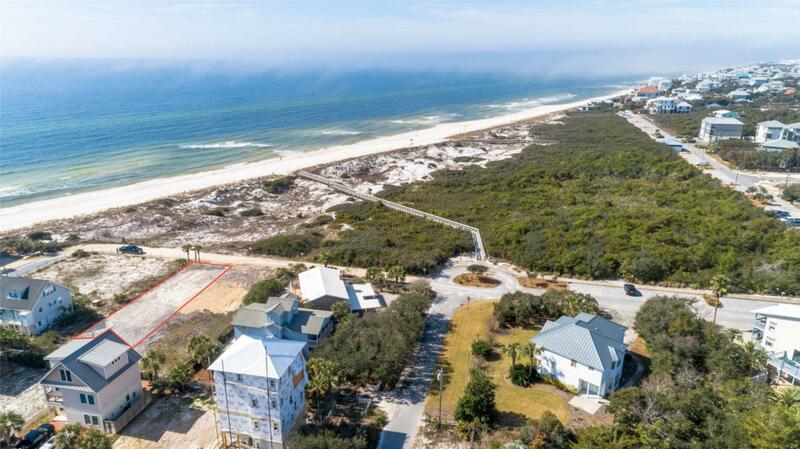 The perspectives offered by this property are an extremely rare feature found on any homesite along 30A. Measuring 43' wide by 166' deep with side setbacks of only 5', future proprietors have the opportunity to build a large estate with a building footprint of over 3,660 square feet. An oversized main home, multi-car garage, convenient guest quarters, spacious outdoor living and a large private pool can all be achieved on this expansivehomesite. Additionally, the property is positioned within a mile of Rosemary Beach offering outstanding access to enjoy all that 30A offers including world-class fishing, first rate dining and lavish shopping. Inlet Beach has become 30A's premier destination; the addition of 30Avenue, The Crossings and The Shops @ Inlet Beach bring a new sense of luxury to this community. There are few opportunities at this price to create your dream and build your future permeant residence, second home or investment opportunity! Buyer to verify all dimensions.